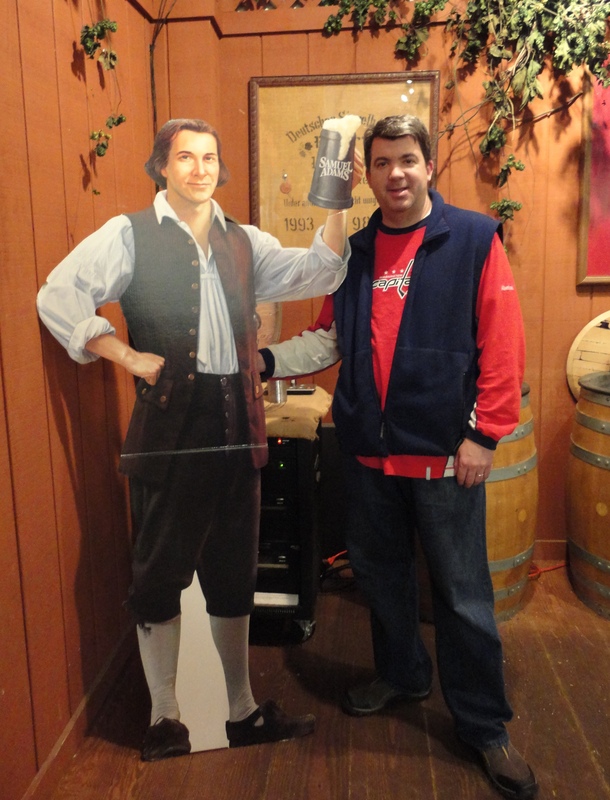 It had been a few years since we took the Sam Adams Brewery Tour. So on our recent trip to Massachusetts we left the kids with their grandparents and rode the T to the brewery in the Jamaica Plain neighborhood of Boston. It’s a bit of a hike, but well worth it. We decided to go on the first tour of the day and after a short walk from the Stony Brook T station, we arrived at the brewery around 10:00. That gave us some time to look around the museum-like visitor’s center before the 10:15 tour. I liked the chronological display of Sam Adams Boston Lager bottles from the first test batch in 1985 to the 25th Anniversary label in 2010. There was a huge display case full of trophies and awards and a lot of other cool exhibits documenting the history of the Boston Beer Company. 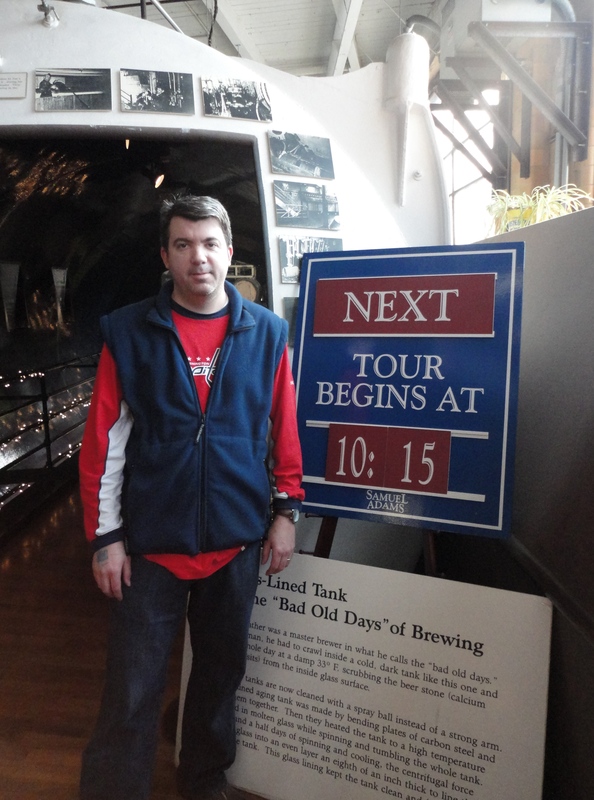 It wasn’t hard to kill time waiting for the tour to begin. Our tour guide Michael started with a spiel about how the tour was free, including the beer tasting and souvenir tasting glass. A donation was suggested, with 100% of the proceeds going to a children’s charity and a fund to maintain a historic cemetery. We were more than happy to contribute! The tour took us through the small working brewery in about 30 minutes. We learned about brewing ingredients and the brewing process. Since we’d taken the tour before and have toured other breweries, there wasn’t a lot of new information, but our tour guide Michael knew his material well and his canned jokes were actually funny. 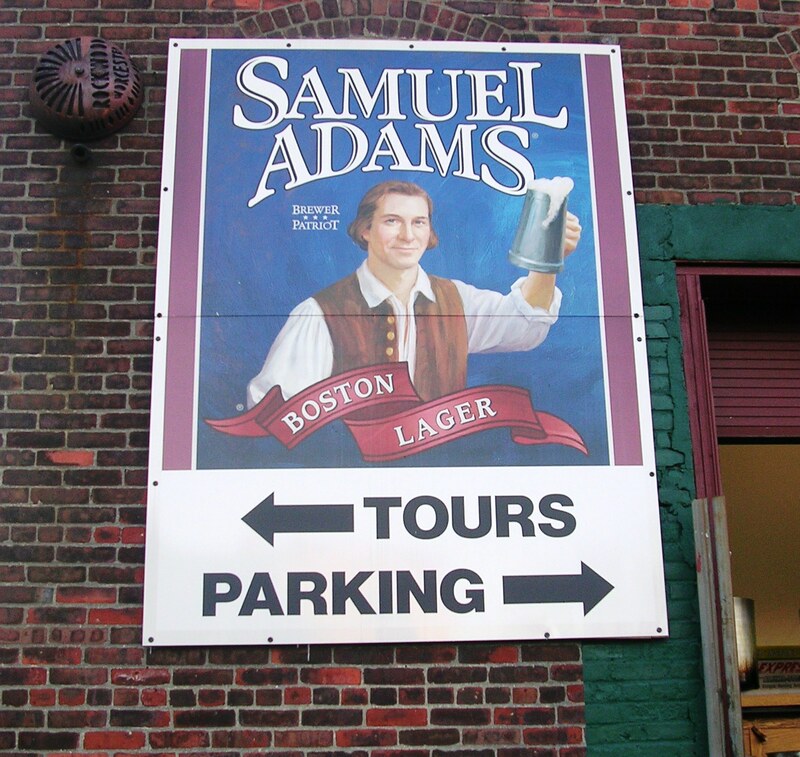 The main thing to know is that this brewery is not where Sam Adams is mass-produced. 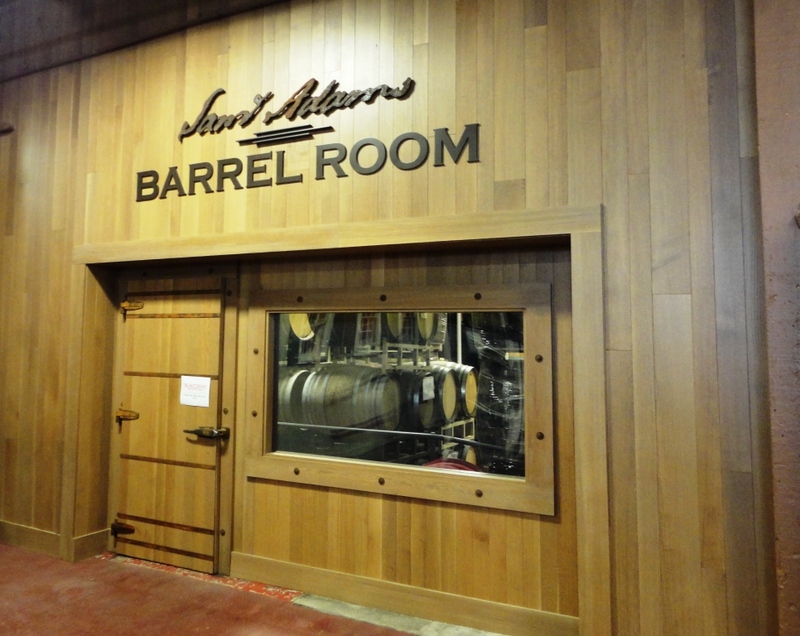 Two breweries – one in Cincinnati and the other in Pennsylvania – produce the Sam Adams beers distributed around the country. The Jamaica Plain brewery makes test brews and specialty beers, like the Barrel Room Collection. Michael walked us through the beer appraisal process with the Boston Lager, and we had fun judging the appearance, aroma, taste, body and finish. I think we all gave this brew high marks. 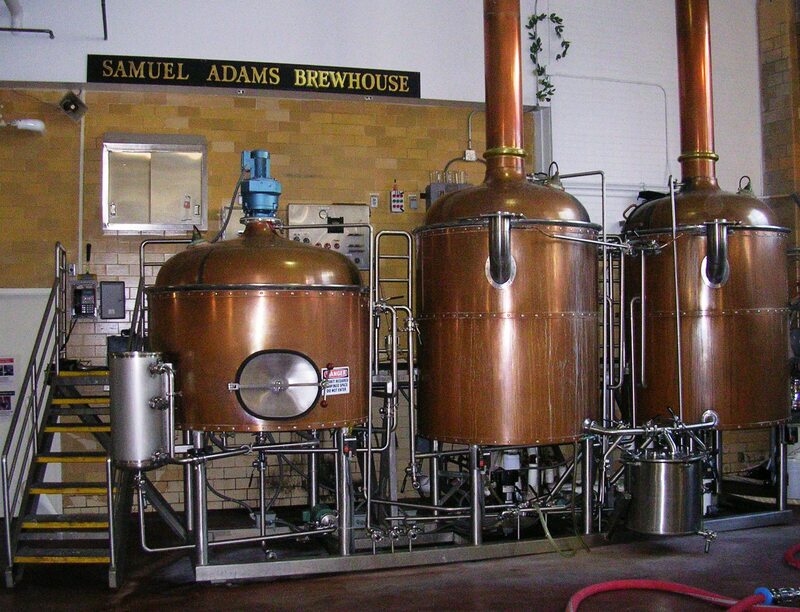 I mean, there’s nothing like drinking a fresh Boston Lager right in the brewhouse! I now have a better appreciation for the Noble Pils and getting the chance to drink the Chocolate Bock on draft was a real treat. After the tour, we picked up some souvenirs in the gift shop and then took the free trolley to Doyle’s for lunch. 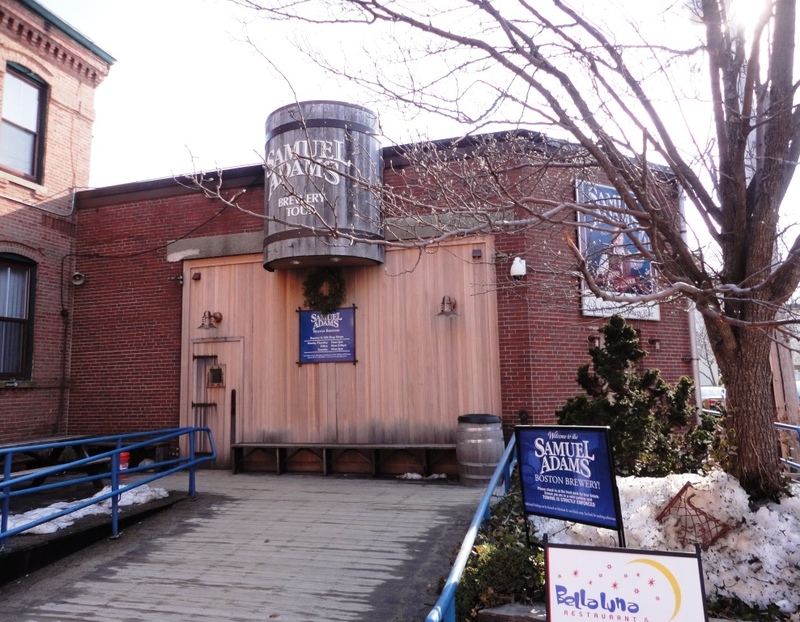 Doyle’s is about three blocks from the brewery and is the first pub to serve Sam Adams beer. It’s in a building built in the late 1800’s, so it has a lot of old Boston charm and character. The pub has ample Sam Adams brews on tap, including Sam Adams Boston Brick Red, which is only available on draft at select bars and restaurants in the Boston area. With a name inspired by the historic red brick at the Samuel Adams Boston Brewery, Samuel Adams Boston Brick Red has a rich, deep red color and distinctive caramel flavor. I’d call it a smooth session Red. I also had a Sam Adams Cherry Wheat, which I rarely see on draft. I love the tart cherry flavor of this crisp wheat. 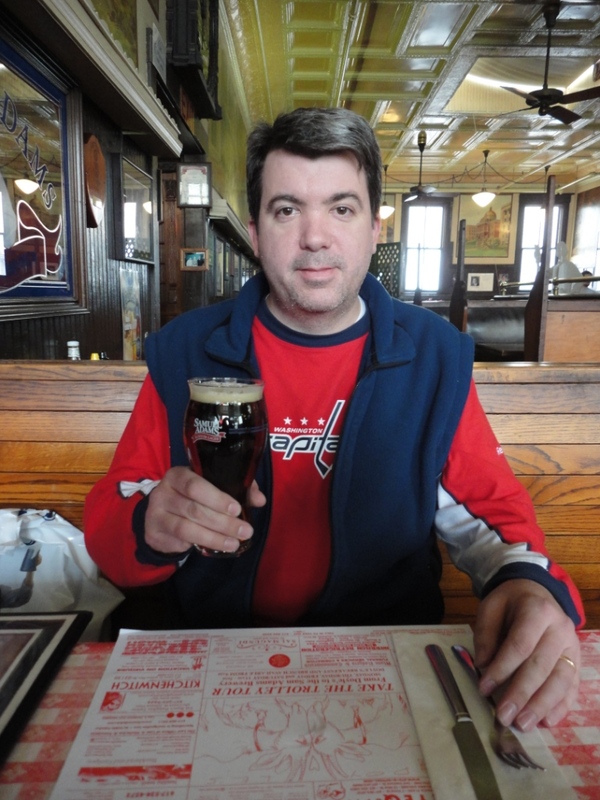 The best thing about drinking Sam Adams on draft at Doyle’s is that they serve it in a Sam Adams glass – and you keep the glass! 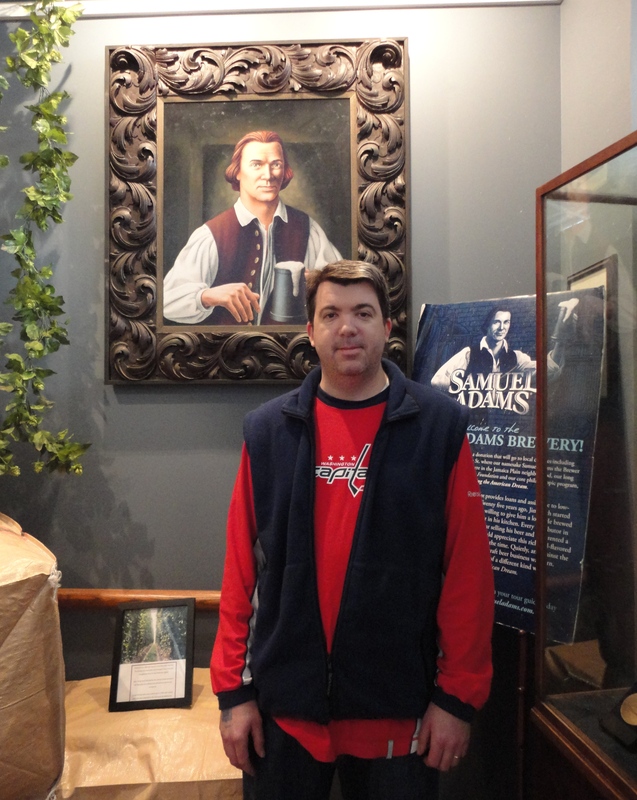 The custom-made Sam Adams glass is a thing of beauty, and will set you back $8.50 at the brewery souvenir shop. At Doyle’s you pay only $4.50 for a beer and you keep the glass!